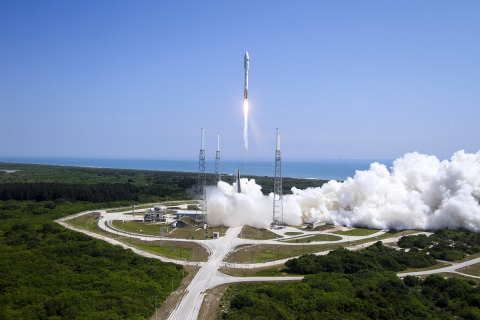 DULLES, Va.May 20, 2015-- Orbital ATK (NYSE: OA), a global leader in aerospace and defense technologies, supported the third successful launch this year of a United Launch Alliance (ULA) Atlas V rocket from Cape Canaveral, Florida. Today s mission included payloads from the U.S. Air Force s Space Command program and NASA s Technology Demonstration Mission (TDM) program. Witnessing yet another successful launch of an Atlas V serves as a reminder of how much Orbital ATK values our partnership with ULA, said Ron Grabe, President of Orbital ATK s Flight Systems Group. Our highly engineered composite and control products play an important role in ensuring dependable access to space and affordable innovation for our customers. For the ULA Atlas V rocket, Orbital ATK produced several large composite assemblies, including the 10-foot diameter composite heat shield, which provides higher performance with lower weight and essential protection for the first stage of the launch vehicle from engine exhaust temperatures in excess of 4,000 degrees Fahrenheit. Orbital ATK also produced the Centaur Interstage Adapter (CISA) that houses the second stage engine, and the boattail that adapts the core vehicle to the five-meter diameter fairing. These assemblies were fabricated using advanced fiber placement manufacturing techniques at Orbital ATK's Iuka, Mississippi facility. This is the 54th Atlas V launch using Orbital ATK-built composite structures. This launch also marked the 19th successful flight of Orbital ATK-produced retro motors. Eight of these solid motors supported separation of the spent first stage. The Atlas retrorocket is built at Orbital ATK s Missile Defense and Controls facility in Elkton, Maryland. Today s mission included two payloads designed to test alternative forms of space propulsion. The primary payload was the U.S. Air Force Orbital Test Vehicle (OTV), a reusable unmanned spacecraft also known as the X-37B. Flying under NASA s Educational Launch of Nanosatellites program, the secondary payload flown was a Planetary Society-sponsored LightSail 2 solar sail test vehicle designed to use solar wind for its primary propulsion.